Scott Westerfeld, author of the bestselling trilogies Uglies and Leviathan, has tried something new with his latest novel: collaborative writing. 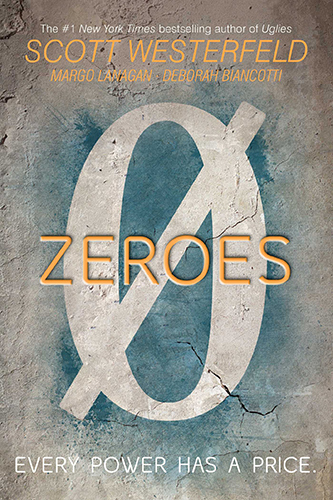 Thanks to the combined efforts of Westerfeld and Australian short story authors, Margo Lanagan and Deborah Biancotti, Zeroes hit the shelves Sept. 29 and set six more super-powered teenagers free to make their mark in the science fiction world. Often in science fiction and fantasy, superpowers tend to be flashy and sometimes over the top, though there are exceptions. Westerfeld, Lanagan and Biancotti chose the subtle route for their characters’ abilities, giving them powers that one could be watching them use and never recognize it as something unnatural. While subtle powers are not unheard of, it is still a refreshing notion and makes the story feel a little less like fiction. The reader is first introduced to the character Ethan, also known as Scam, a young man who has a second, omniscient and manipulative, voice. It knows exactly what to say to get Ethan what he wants, and Ethan wastes no time demonstrating that when he cons a man into giving him a ride home. Unfortunately, this time Ethan’s second voice ends up getting him into ever worsening trouble. Even when Ethan’s old friends reform their old group, the Zeroes, and use their own powers to bail him out, the hole only ends up deeper. The most interesting thing about the characters’ powers is that most of them rely on the presence of other people. Ethan’s voice is capable of producing useful information, but he cannot make it speak to himself. Nate, the group’s leader, can charm a group to a common purpose and direct their attention, while Thibault is someone you just cannot seem to stay focused, or even remember, unless there are absolutely no other distractions around. Riley is blind, but she can see through the eyes of the people around her. Kelsie tunes into the emotions of a crowd and can magnify or dampen them as she sees fit. The only character whose power does not fit into the mold is Chizara, who can sense electronics and telepathically break them. Chizara’s power falls so far outside of the pattern that it would ordinarily deserve some criticism, but of the six main characters, Chizara is the one who is most against being a member of the Zeroes, so her power’s nonconformity becomes fitting. Besides, Zeroes is only the first in a series, so Chizara’s power may yet develop some new element that relies on crowds. For a book written by three different authors, the tone and style are incredibly consistent. The point of view shifts to a different character every few chapters, which may help conceal any major differences in style, but the authors were successful in working together to create a cohesive piece. I am looking forward to seeing what Westerfeld, Lanagan and Biancotti’s efforts produce next, as well as if it is even possible for Ethan’s mouth to get him and the rest of the Zeroes in any worse trouble.